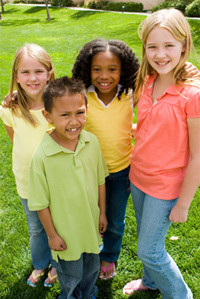 The Children's Flex Team is an intensive preventive program for children in our community. The Flex Team provides an array of services to seriously emotionally disturbed children and their families enabling these children to live at home and in their communities. Some of the services provided by this program include: Crisis Response, Respite Care, Skill Building, Intensive In-Home and Family Support Services. Youths who are eligible for this program range in age from 5-18, and are at imminent risk of inpatient psychiatric services and placement in a Residential Treatment facility. MICA provides outreach support to youths and their families who are affected by mental health and substance abuse issues. MICA provides short-term counseling and case management services to these families either in the home or at school. Youth up to age 21 who are at risk of running away and who directly experience difficulties themselves with substance abuse and mental illness, or who are affected by family member's difficulties in these areas, meet eligibility requirements for this program. Provides intensive case management services to youth (and their family) currently involved with DSS or Probation due to PINS/JD behaviors. Services work to: prevent initial placement, re-placement or decrease the length of stay in placement for a quicker return home; reduce court involvement; improve family functioning (supervision, structure, relationships, conflict resolution); improve school attendence and performance; and to increase families' supports. Youth and their family work with an Intensive Family Worker for up to 18 months. They will recieve an array of services including: integration back to their home and community; Intensive In-Home coaching; Parent Support and Education; Skill Building; Crisis Response; Monitoring and Advocacy; Coordination of services and referrals to additional services as needed. SHINE is able to work with clients (and their parents) while they are in placement, inclduing making visits to and coordinating with placement facilities, and can assist with preparing/planning for discharge and the transition home.